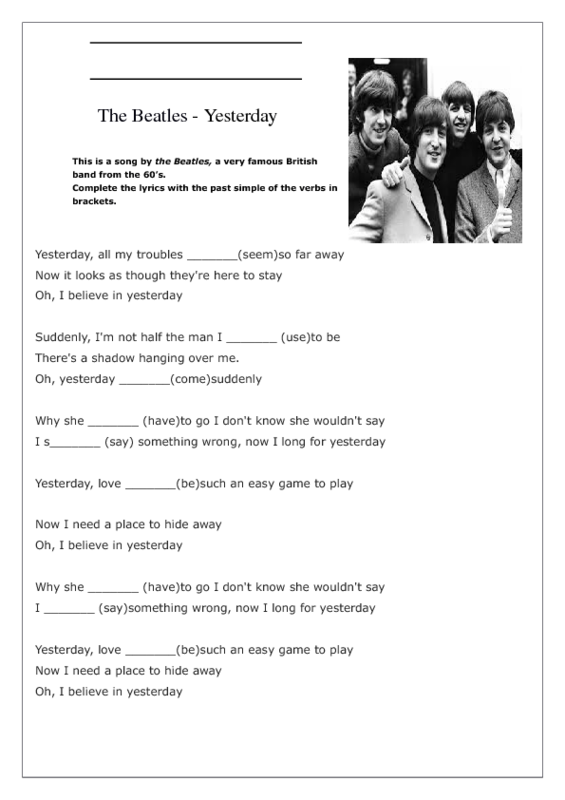 Here's a simple worksheet for teaching or revising the simple past at pre-intermediate level. It is a song by the Beatles, a very famous British band from the 60’s. 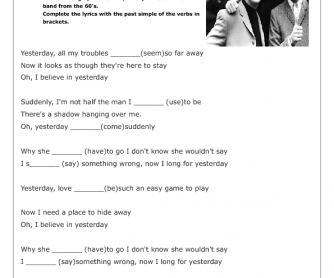 Students are asked to complete the lyrics with the past simple of the verbs in brackets.